Othello dir. Iqbal Khan, performed by the RSC at the RST, 26th August 2015, live cinema broadcast at the City Screen, York. I was shocked by my own complacency toward race when I first saw this trailer for Iqbal Khan’s RSC production of Othello a couple of months ago. Othello is speaking to Desdemona, but as the camera swings from him to her and back again, something has shifted – the tone of voice, the words, the face. Was I really confused who was speaking for a moment? 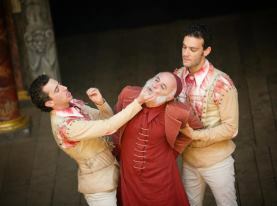 That was a directorial intention, I hope, because there is only room for one minority leading actor in Othello, right? Wrong. Khan’s production, broadcast live to cinemas around the world on Thursday, ‘made history’ (in the UK and for the RSC at least) by casting Lucian Msamati as Iago opposite Hugh Quarshie’s Othello. 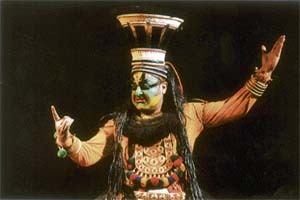 Quarshie has long expressed ambivalence about the depiction of ‘the Moor’ not only on stage but by Shakespeare’s representation itself, famously questioning whether black actors should even play the role (although he never definitively concluded that they shouldn’t: see also Kwame Kwei-Armah in his 2004 Guardian piece, ‘My Problem With the Moor’). The subtle ways in which Khan’s casting recalibrated how we perceive Othello as the ‘race play’ has been explored by many reviewers, with Dr Peter Kirwan noting that ‘for Khan, this was not a production about a society against one man, but a society divided against itself’. Both Iago and Othello were visibly outsiders, not because they were black but because they both held rank. As Quarshie notes, in both early modern ‘Venice’ and supposedly ‘post-racial Britain’, the general is one of ‘the only black men […] who isn’t either a cleaner, a soldier or a servant’. Thus Iago’s sense of betrayal at being passed over for promotion for the less experienced, white Cassio makes total sense. The contemporary, 21st century setting allowed for a reading in which this Venetian society, disturbingly familiar, appeared to think that it was ‘colourblind’ – the Duke’s own daughter would be allowed to marry a ‘Moor’ if he was like Othello, apparently. Yet a feckless young white man didn’t think twice about referring to a high-ranking military leader as ‘the thick lips’ to his black friend and everyone was a bystander to casual and institutionalised racism when it came down to it. Even the righteous Desdemona compromised herself from the outset. ‘”I saw Othello’s visage in his mind”? Really? ?’ repeated Quarshie/Othello incredulously, only half teasing her. Although the casting of Msamati problematised what is now seen as a simplistic interpretation – that the motivation for Iago’s malignity is racism – it is important to remember that as late as the 1980s critics were pointing out that overlooking racism as a motive and a context in the play was itself deeply problematic (see Roger Day ‘Reading Othello‘ in Shakespeare, Aphra Behn and the Canon 1996). And Quarshie made his Othello either vocally challenge or reallocate lines that he argues that no black man, if there had been a black man in Shakespeare’s company, would ever had said. Thus Desdemona’s reputation was as ‘begrimed and black’ as Iago’s face, not his. 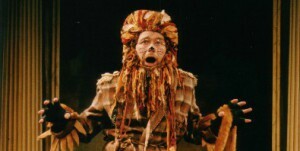 Msamati, however, does not believe ‘that what drives Iago is anything racial at all‘. When he improvised on Roderigo’s imagery, moving rapidly from the derogatory ‘thick lips’ to the bestial Barbary horse and ‘old black ram/ […] tupping your white ewe’, he did not seem to be expressing self-loathing; rather, he grasped at an opportunity to exploit the animalistic stereotypes still prevalent in a society where white masculinity sees itself threatened by black male sexuality, and he did this simply in order to ensure that Brabantio would be enraged and disgusted enough to curtail the elopement of his daughter. Msamati sees Iago’s motivation as something ‘deeper, more dangerous, [and] emotional’: he behaves like a ‘jilted jealous boyfriend’ he says in the pre-streaming material. This gives an utterly convincing and confessional edge to Iago’s sudden claim to Othello that ‘I lay with Cassio lately’. The scene in which this dialogue takes place is central to Khan’s re-visioning of the play, and it was a scene that raised many questions. It is usually performed as a paint by numbers demonstration of how Iago ‘[…]put the Moor/Even into a jealousy so strong/That judgement cannot cure[…]/And practising upon his peace and quiet,/Even to madness’. But, as I have already said, this was a production that sought to disrupt complacencies. The ‘noble Moor’, after all, is as problematic a stereotype as ‘the old black ram’. Quarshie’s Othello was neither. Instead he was a complex man who thrived on power and control: verbal, emotional and physical. 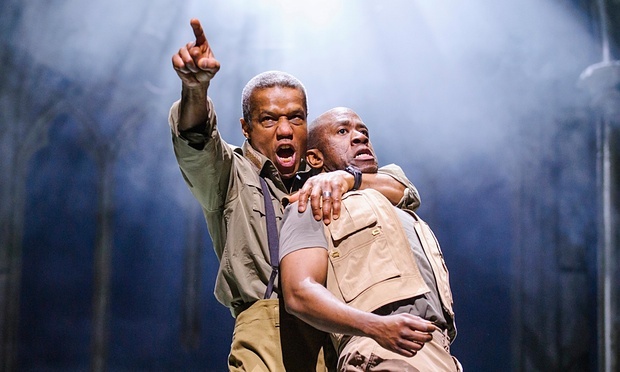 The production’s emphasis here is on the culture of militarism: Othello was a mercenary general, a man who fought wars as much for his own personal gain (money, status, reputation). The implication was, he could be relied on to get results for Venice regardless of any rules of engagement or human rights conventions. And so, previously, we have seen a nameless, faceless man dragged on stage, tortured with drills and waterboarded, clearly under the command of Othello. Then, in a shocking and graphic reversal of power roles, Iago was presented not as the auteur of the tragedy but as a victim of his own machinations, a man who had already lost control of the plot by act three. When Othello demanded to ‘Make me to see ’t, or at the least so prove it/That the probation bear no hinge nor loop/To hang a doubt on, or woe upon thy life!’ Iago was strapped to the same chair as the general’s last victim. 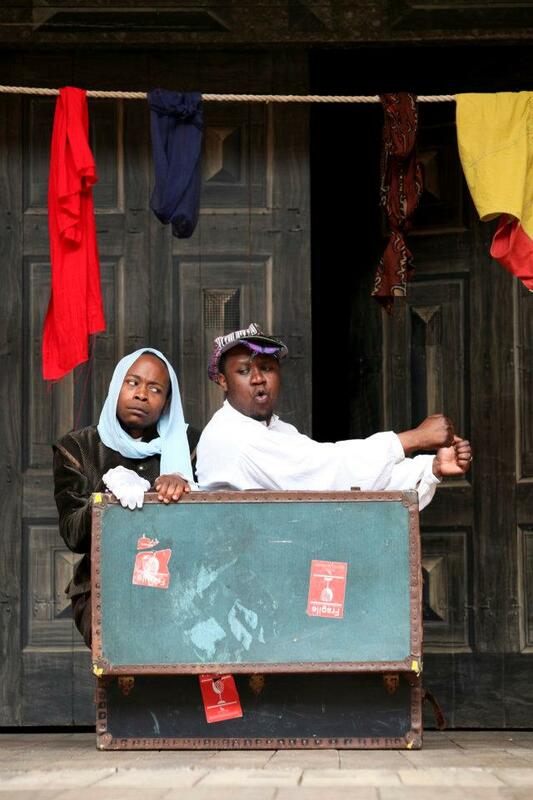 Again tortured with the contents of the tool box and nearly suffocated with a plastic bag in a scene worthy of The Girl With The Dragon Tattoo, you couldn’t help thinking, ‘Well, what else was he supposed to say?’ In this production, it was Msamati’s Iago who became human and vulnerable. On one level, I found this scene extremely effective. Firstly, I like grotesque violence in my early modern stage plays – the tearing out of a heart or a tongue, the plucking out of Gloucester’s eyes on stage. Sanitizing man’s inhumanity to man is a dangerous thing. If it happens off-stage, out of sight, we don’t have to face the fact that we are complicit in it. It also made sense of Othello’s breakdown, in which the routine violence and abuse of his day job inevitably spills over into his personal life. 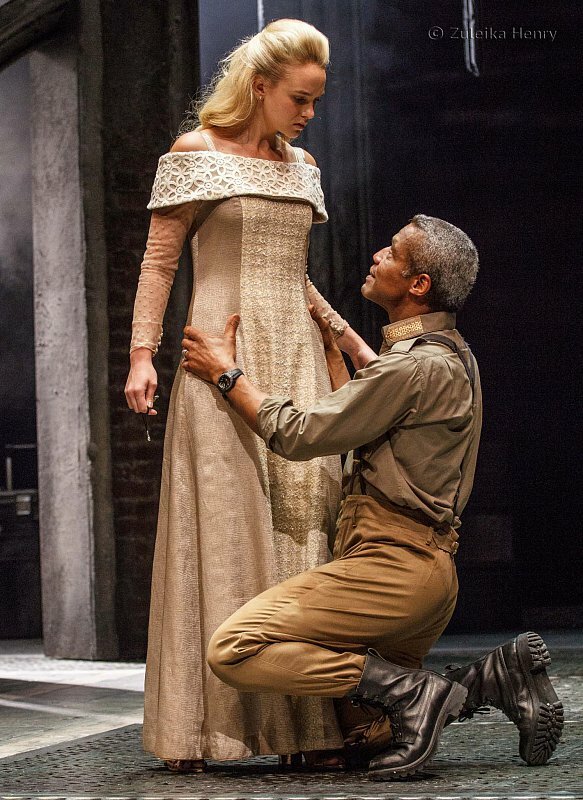 Quarshie’s charismatic but deeply unpleasant Othello critiques the ‘nobility’ that is often unquestioningly bestowed on ‘our’ military personnel, as we turn a blind eye to, or even excuse, their sometimes illegal and murderous actions. What bothers me, however, was the peripheral nature of these allusions to the crimes committed by western forces at places such as Abu Ghraib. They weren’t centralised enough to make the production a political allegory, as in the work of Sulayman al-Bassam. I felt the production needed to have the courage of its convictions and much more overtly address the connections it appeared to suggest between militaristic masculinity/ entitlement/violence (domestic or otherwise), and western foreign policy in the wake of the First Gulf War. This was nearly political theatre, but not quite. We remained too wrapped up in what would happen to our star-crossed lovers (even if one was a violent narcissist) to remember to care what happened to the faceless man once he was hauled off stage. As Kirwan argues, there was a danger that the torture scenes became a device. Nonetheless, this was thought-provoking, intelligent and compelling theatre. The power play between the central characters and the larger society was nuanced and complex, as was the prejudice around both race and gender. Joanna Vanderham’s Desdemona was particularly strong, rejecting the often infantalised, over-feminised interpretations that still dominate productions, although her fabulous dresses (somewhere between Game of Thrones and Frozen) didn’t quite ring true. Surely this was a woman who wore trousers? Her death also seemed slightly on the traditional, tame side in a production that was not traditional or tame. Yes, she fought back, but I anticipated more disturbing violence after Othello put out the light with his boot. A man killing his wife should not be prettified. Having said that, although I’m sometimes slightly disappointed by the predictability of the RSC’s work, directors like Khan and Aberg are bringing an engaging and energizing perspective, and although I’ve criticized Greg Doran before about his ‘colourblind’ casting practices, productions commissioned by him like this are beginning to remedy the fact that the RSC itself often presented a world where minority actors were routinely servants, soldiers or five-line dukes. Listen to the Male, Pale and Stale RSC debate 2015 here. See Andrew Dickson on Othello and race here. And so the inaugural York International Shakespeare Festival has begun. This first weekend had somewhat of a musical flavour, as I took in a Kabuki Ophelia, a not so silent ‘silent’ Hamlet, a baroque mock opera and a discordant Feste in a garden shed. To describe Aki Isoda’s performances as a ‘cultural curiosity’ is deeply problematic, but this seems the best way to sum up this extraordinary evening. Mrs Isoda, now 85 years old, has been performing Lady Macbeth and Ophelia for about 50 years, and her performances seem frozen in time, museum pieces capturing the gestures and sounds of a theatre of the past. Indeed, both parts of her production, Lady Macbeth ‘performed in the Western style’ and Ophelia ‘performed in the Japanese style’, brought to life for the researcher the grainy early twentieth century images of Shingeki New Theatre and traditional Kabuki. From the reviews, it seems that Isoda’s Lady Macbeth was the hardest for European audiences to appreciate, leaving Lily Papworth ‘a little disappointed’. 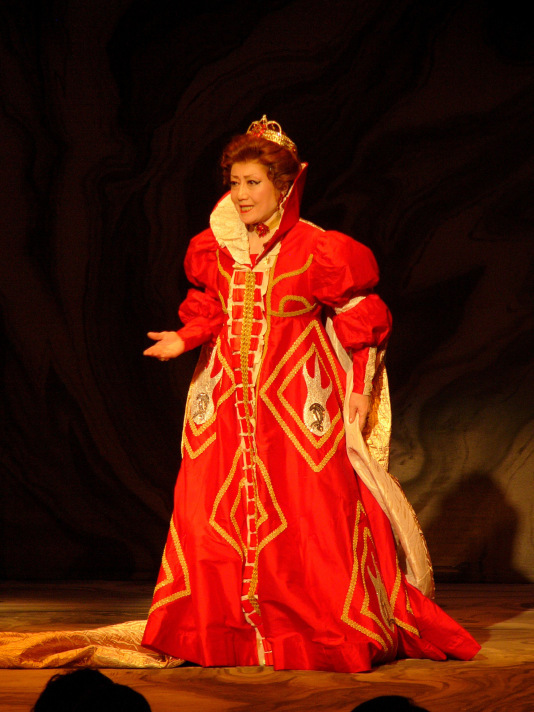 Lady Macbeth, in red wig and ‘whiteface’, her eyes enlarged with bright blue eye-shadow to mimic Western features, evoked the typical representation of Europeans on East Asian stages until as late as the 1970s. This first originated in Japanese Shingeki, or New Theatre, which adopted the plays and the realism of Western drama as part of the educational and cultural reforms of its modernisation movement in the period leading up to the First World War*. Isoda’s stylized realism, with its rigid gestures and melodramatic frozen postures, reminded my friend Elizabeth Sandie of silent film, and me of the traces of traditional theatre forms, and it is likely that these were both factors in the development of this aesthetic. Indeed, in 1904 and 07 there were the first Shingeki Shakespeare productions, featuring for the first time since the age of Shakespeare, actresses in the women’s roles. 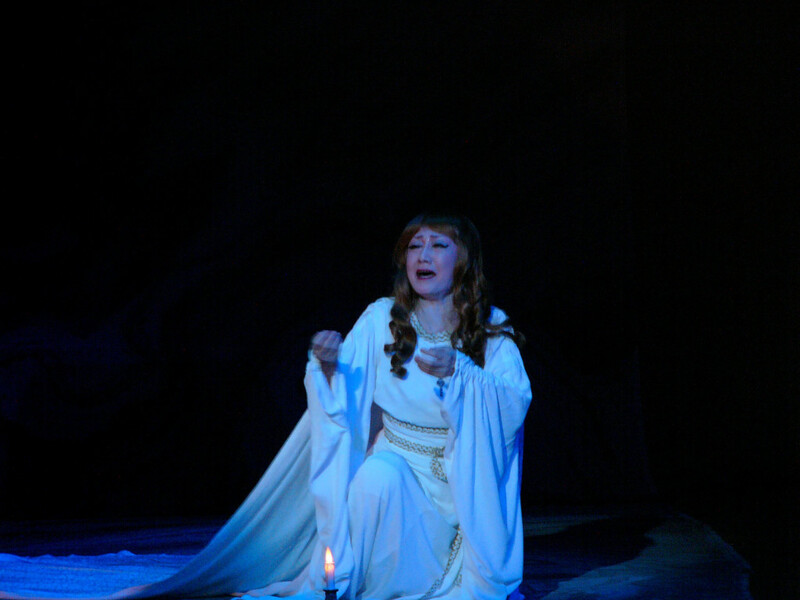 Isoda’s performance was largely a solo affair, in a tradition inherited from noh, as she enacted key scenes from Macbeth to an invisible, silent husband: reading his letter, scolding him for not leaving the daggers to incriminate the king’s guards after his regicide, reassuring his guests that he was simply having a funny turn as he saw visions of these daggers and his murdered friends. She also progressed through a series of spectacular costumes, one minute in the bright red gown of a Queen of Hearts, then in the ghostly white of her night gown as she tried to wash away the damned spot. I have tried to find archive footage of this performance in its early days, for I imagine that her speech, now quavering, once contained great power. Or perhaps the quavering was also because she was engaging in onnarashii (女らしい), the traditional behaviours and speech that is gendered as ‘feminine’ or ‘gentle’ in Japanese culture. I am not a Japanese speaker, so that is only conjecture. I said that this was largely a solo performance, but there were also three young actors performing as the weird sisters, in a not entirely successful incorporation of a contemporary Western aesthetic. The juxtaposition jarred, but perhaps this was intentional, underscoring the difference of the two approaches. because, as noted by academics such as Alexa Huang at the BSA conference on Local/Global Shakespeares in 2009, the ‘cherry blossom exoticism’ is somehow more accessible to Westerners. The irony is that because it is more strange it is less strange, comfortably meeting our expectations of cultural Otherness. As Lily Papworth put it, ‘I realised that this was what I had been hoping for. Performed in typical Kabuki fashion, Isoda’s Ophelia was beautiful’. And she is right, it was oddly beautiful. We have a cult of youth and realism, so it was very strange to see an octogenarian Ophelia with trembling hands sketch out the fan dances of her youth. Perhaps this was what it was like for the audiences who watched the great Victorians perform their Hamlets and Ophelias into old age. 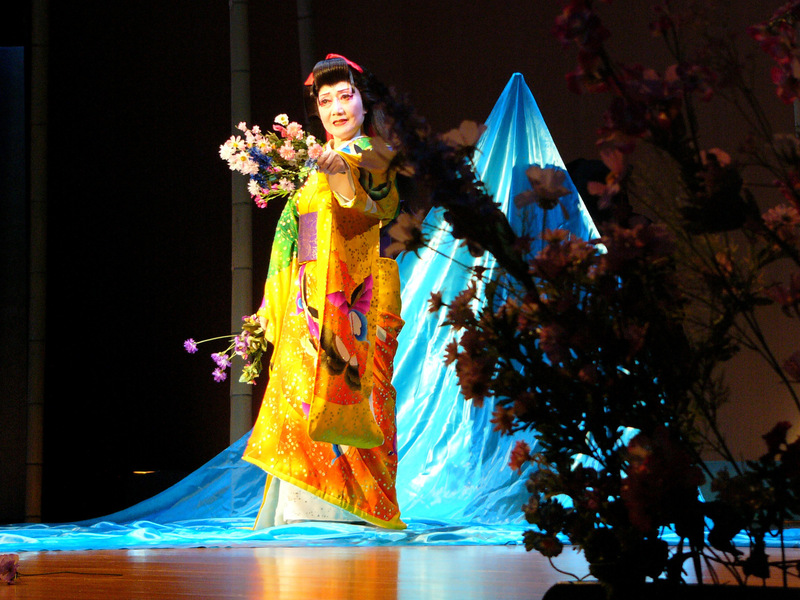 Elaborate scene changes, by the ‘invisible’, black clad kuroko stage hands and accompanied byJapanese shamisen music, became part of the performance as the Kabuki actress changed her kimonos and headpieces offstage. By half closing my eyes, I could semi-transform her into a young girl again. *This in turn influenced the drama of the Chinese Reform Movement, huaju, or spoken theatre, as Chinese students returned from studying abroad in Japan and Europe. Harris and Anstee met whilst working on another silent film, Hungry Hearts, about the Jewish immigrant experience in America. 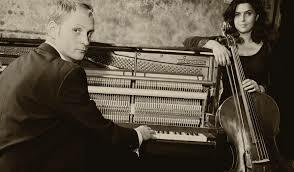 They were both part of the She’koyokh Klezmer Ensemble. There were echoes of traditional Jewish music in their Hamlet score. Ophelia was played by a Sarah Jacobsson. Nielsen herself sent money to assist Jewish refugees in World War II. 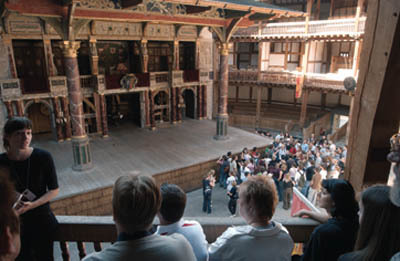 In this little piece, small audiences of three or four were invited into garden sheds by members of the youth theatre, who then delivered monologues based on a Shakespearean character. I joined a teenaged Feste, who exuded middle aged world weariness in his faded jester’s velvet as he swigged vodka, bemoaned his displacement by Malvolio in Olivia’s house of mourning and discovered he now could neither play his lute (well, banjo) nor sing his songs. It was really rather good. 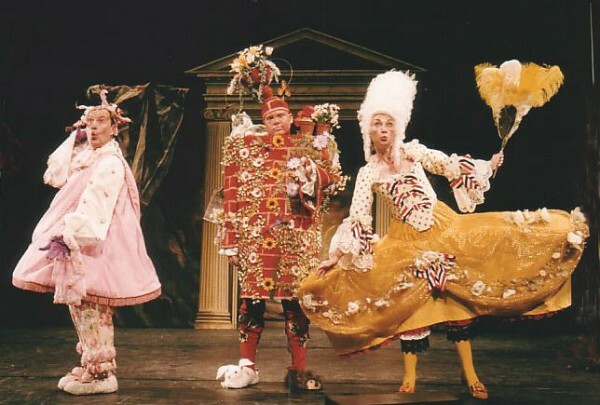 And to end it all was the bonkers baroque mock opera of Pyramus and Thisbe, featuring all the characters of the mechanicals’ play in A Midsummer Night’s Dream, but instead of the Athenian court, the ‘English’ opera troupe had to prove to the foppish Mr Semibreve and his friends that they could perform as well as any Italian. The full opera (an hour long) was prefaced by a recital of instrumentals and songs from various 18th Century musical adaptations of The Tempest, faithfully reconstructed by Opera Restor’d. I’ve never seen any of these 18th Century afterlives of Shakespeare that I’ve read about and they were hilarious and moving by turns. I’ll leave the pictures to speak for themselves (they are from a previous production, but the costumes, if not the performers, are the same). The links to the first batch of films is available via the projects website http://shalt.org.uk. This free afternoon public symposium at Rhodes College, Memphis, TN, sounds a treat and is exactly my area of research… However, the new semester will have just started, and I’m teaching the day before. Forget the fact that a round trip ticket from York, UK, would cancel out the freeness of the event! Which is a shame – I quite fancy the King in the morning and the Bard in the afternoon! 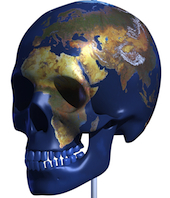 But the Global Hamlets Symposium , for anyone who is in the area, is not to be missed. Two of the speakers, Alex (Alexa) Huang and Margaret Litvin, have been at the forefront of promoting awareness of Chinese and Arab Shakespeares respectively in Western scholarship. Huang‘s Chinese Shakespeares is a fascinating, eclectic study of how Shakespeare was appropriated by Chinese activists, novelists, playwrights and filmakers over the course of the 20C. It inspired me to pick up a Peking Foreign Languages Press paperback that had been sitting on my bookshelf since the early 1990s, when I first went out to teach in Mainland China: Lao She’s Mr Ma and Son: a Sojourn in London. The ex-pat son is an ineffectual Hamlet figure, a metaphor for the dilemma of modern China between the world wars. My favourite bit of the book, however, is when the traditionalist Old Man Ma, at a loss for something to do on a wet afternoon, decides to go to the theatre, as he would have done in China. He then changes his mind because he remembers that in England theatre is just a group of people walking about on a stage and mumbling… Litvin‘s Hamlet’s Arab Journey charts how an idealist young ‘Arab hero Hamlet’ ends up an ineffectual Islamist Hamlet in her detailed and illuminating case-study of Hamlet on the Egyptian stage. Both books are terrific reads, even if you’re not an intercultural performance scholar! I don’t know the work of the third speaker, David Schalkwyk, but I believe he will be speaking on South African appropriation. If anyone has any feedback on it, feel free to use my comment boxes! We went to the Stary Teatr (Old Theatre) but got there too late – it has an amazing looking interactive museum (which houses Wajde’s Old Hamlet’s helmut). The theatre appeared to be putting on works by Klata (I believe he is to be the new artistic director) and later this week, by another director, Heiner Muller’s Titus Andronicus. The reason we were so late, by the way, was because we went to Schindler’s Factory first. Now a museum about Schindler’s list, including exhibits about some of the survivors, about the ghetto and the concentration camp, and about the Jewish and the Polish Resistance, it also recorded how important a role theatre played during this period. The Stary Teatr was appropriated by the Germans as part of their propoganda machine, but underground theatres also flourished. A young man called Karol had acting aspirations but later went to seminary instead. He became Pope John Paul II. Young Jews such as Joseph Bau, whose concentration camp wedding features in Spielberg’s film, survived in part because of their creative talents. Krakow is only an hour away from where I’m staying in Katowice, so I will pop back early next week – when the museum is open. To put this conversation into context, we need to go back to a conversation she has earlier in the documentary with Dr Poonam Trivadi, who edited India’s Shakespeare, about the history of Shakespeare in Indian classrooms. Macaulay’s ideas became law in 1835. Shakespeare is loved in India, but as Kendal’s family found out in the first decades after Independence, it’s not surprising he’s hated too. This clip shows a convicted murderer play King Lear as part of a prison project. Both he and Shakespeare are redeemed.